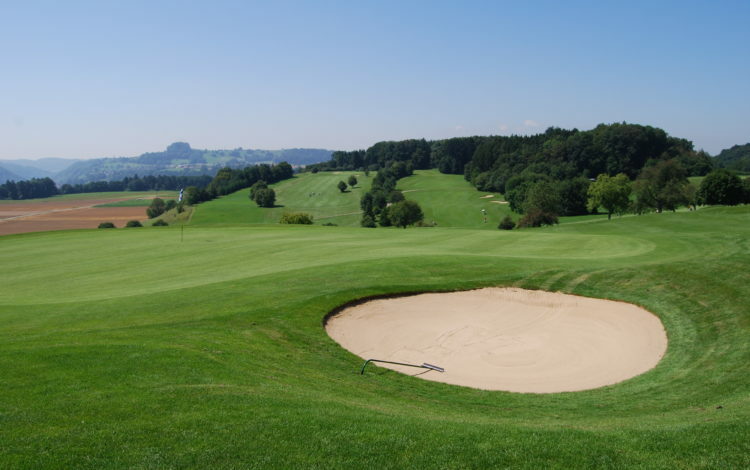 In a small nook of Germany, almost totally enclosed by the northern Swiss Canton of Schaffhausen, is where you will find the beautiful Rheinblick Golf Club. 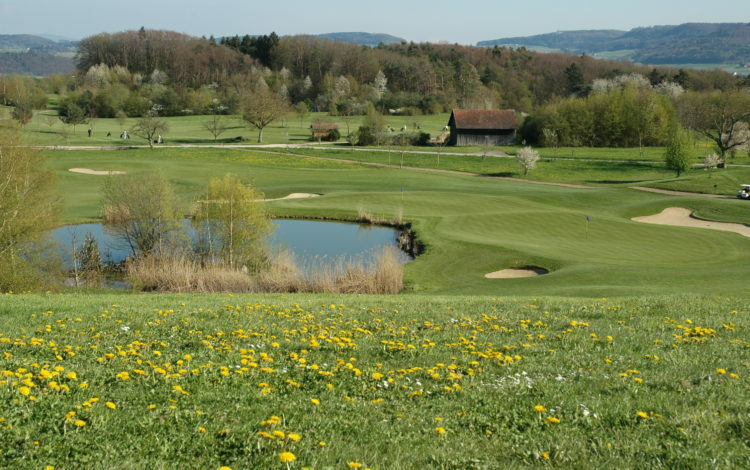 At an impressive 6,671 yards, the 18-hole course is one of the longer ones in the region. 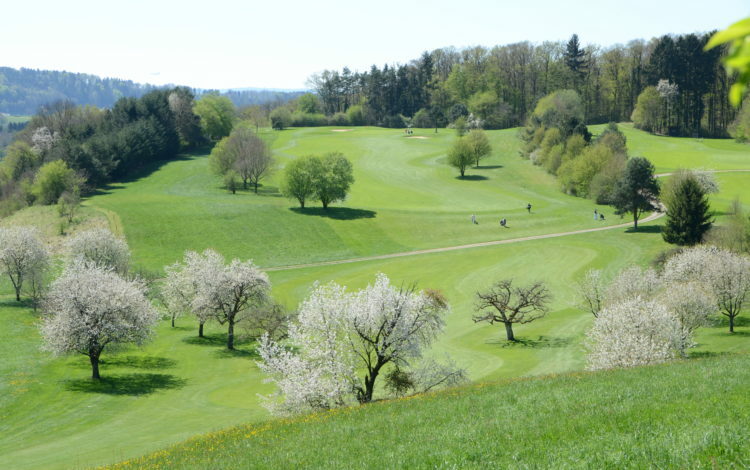 A more open terrain dotted with sparse trees and pond cover calls for long, precise play, which you can prepare for beforehand courtesy of their Scope Visualizer PRO system or TrackMan golf radar. 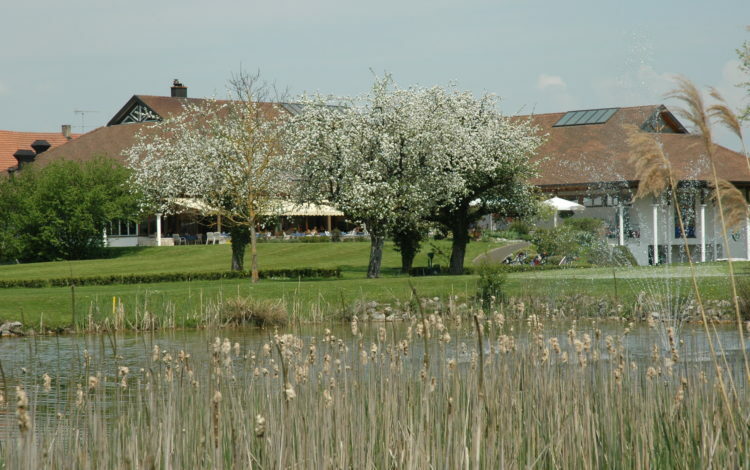 Pay them a visit and enjoy a pleasant round of golf in a beautiful Rhine landscape. 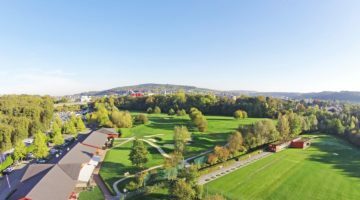 Driving range, Pitching & Putting Green, 1 tee box with Scope Visualizer PRO System, 1 tee box mit TrackMan Golf Radar, practise fairway bunker. 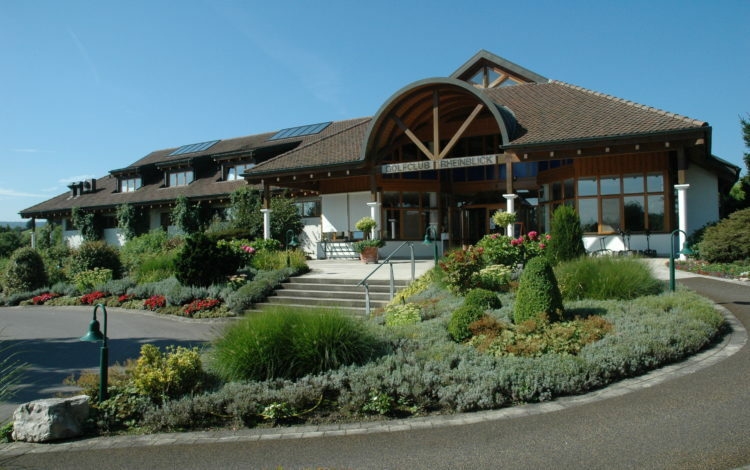 Guests are welcome, please contact the golf club in advance. 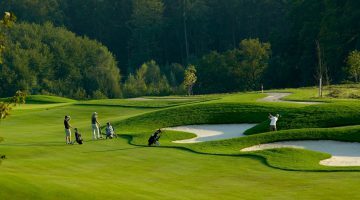 A valid club member card and Hcp 30 as a green fee player, as a member’s guest Hcp 36 is required. No Blue Jeans. Wear Polo Shirts. 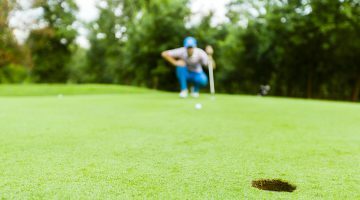 Do not use your phone on the course. No Smoking all around the golf course, restaurant and golf club.